YOU are the most important person in our business. Thank you for your patronage and referrals! We owe it all to YOU, our loyal guests. To show our appreciation, we created a rewards program with an automatic enrollment. 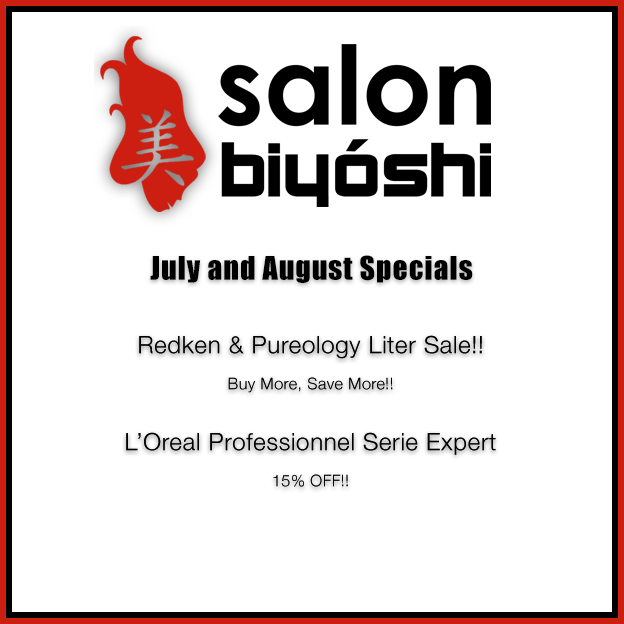 We will reward you for your loyalty to Salon Biyoshi--you will earn points with every visit! You can use those points on any future service visit. Since there are no cards, forms or paperwork involved, it's savings, made simple. Check back monthly for our new promotion!